Time for a little clarification … It isn’t clear, but we are almost certain that most, if not, near all divers pee in their wetsuit at some point. Yep folks, lets face it, nature sure likes to call at the most inopportune times. Even the simple tricks of drinking less fluids before diving do not work in a diver’s favor. For one thing, dehydration increases the chance of developing DCS. Furthermore, the body tends to naturally create urine when submerged in water due to is what’s called immersion diuresis. Immersion diuresis is a condition that occurs when the your body is immersed in cold water. This causes a narrowing of your blood vessels which causes more blood to be sent to your central organs and the body interprets this as a signal to drain excessive water. In a PADI article, referenced below, it is suggested that holding it in isn’t a good idea and that urinating in your wetsuit doesn’t really harm the wetsuit as long as it is properly washed. Fighting the urge to urinate can lead to a urinary tract or bladder infection, especially for women. This extremely painful condition isn’t something you want to deal with on a dive trip – especially in a location where the antibiotics needed to alleviate the problem might not be readily available. So let it go, let it go. Under normal circumstances, urine will not break down the seals or glue on a modern wetsuit. Divers using a wetsuit with an insular lining should take extra care to wash their suit with appropriate cleaner after soiling it (we hope you’ll do this regardless). While urine won’t damage a wetsuit, a soiled, unwashed wetsuit can cause a skin condition similar to diaper rash. Ok, … So, there appears to be no way to really avoid peeing in your wetsuit. Therefore, if you must, the following suggestions are made. Grasp the chest of your wetsuit and pull it away from your body a few times. Open the wrist, feet and neck seals on your suit. Rotate into a head-down position. Remove the regulator from your mouth and place it under the neck seal. Gently press the purge button to flush air and water from your neck out through your feet. 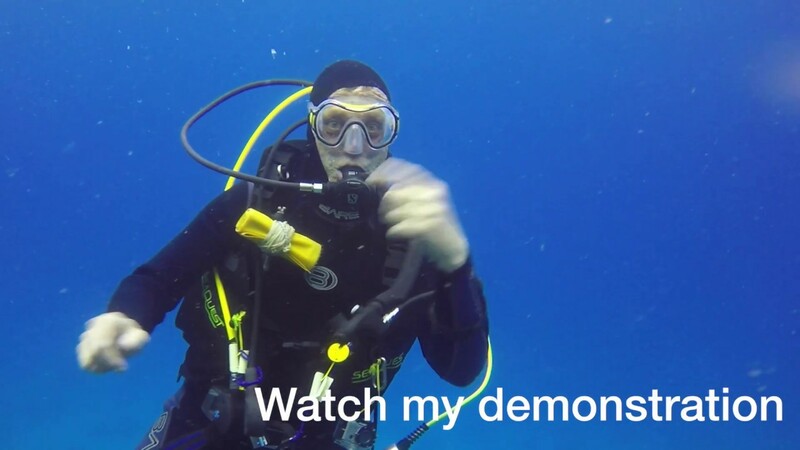 I dive with a friend that has been an Instructor for more than 15 years and he is always first out of the water and leaning over because he says he “can’t” pee in his suit.